Wedding days are great occasions for your family and friends and looking after your guests is a major priority so that’s where I can play a big part. 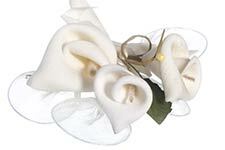 Once the ceremony is over the day unfolds with periods when guests will need looking after! From experience I know just the right times in the day when your guests will need to be entertained and I can blend in seamlessly without you worrying and keep them happy whilst other things are happening. 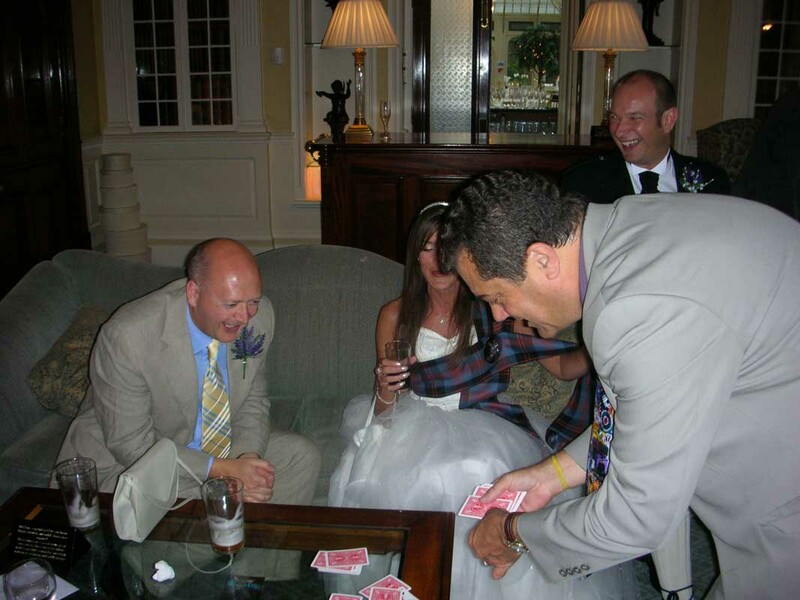 I can circulate where ever the guests are, performing right in front of them for as along as they want. It provides something amazing to watch and be involved in. Guests are always delighted to be entertained and always enjoy the unique addition to the activities during the day. It’s a little special extra that adds a massive amount of enjoyment. 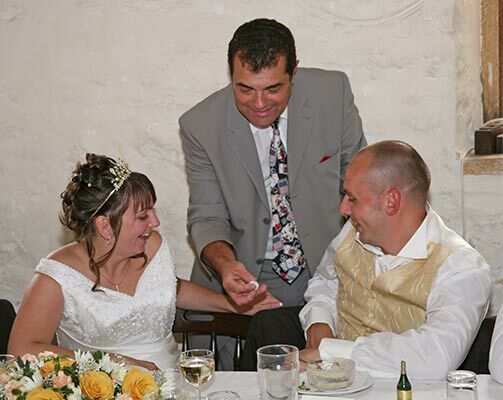 With 17 years experience performing magic at weddings I can make sure it works perfectly for your day which ever part of the day you choose. We have just seen the wedding video and seeing you work your magic I just wanted to say a big thanks for all your hard work. You certainly kept the crowds entertained and I have nothing but great feedback from the people who saw you doing your stuff. I have no hesitation in recommending Paul. He was better than good. 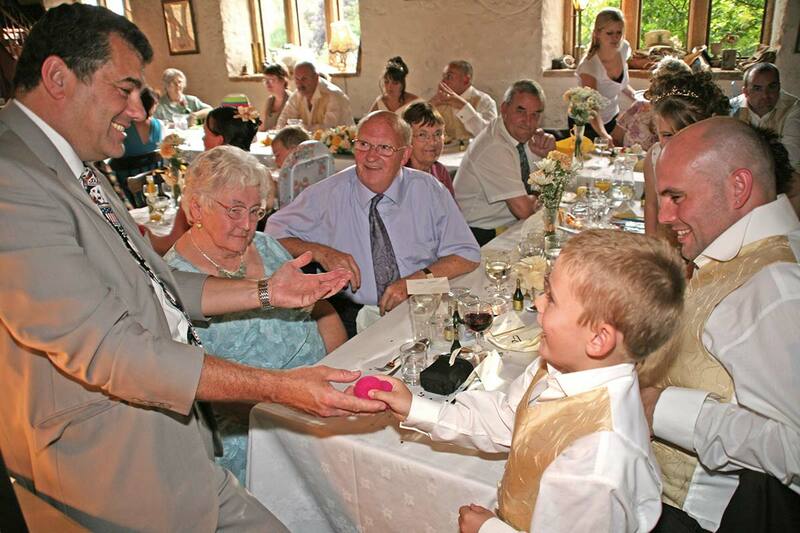 He literally stunned everybody with his close-up magic at my daughter’s wedding and I’m sure the guests will remember it for a long time!